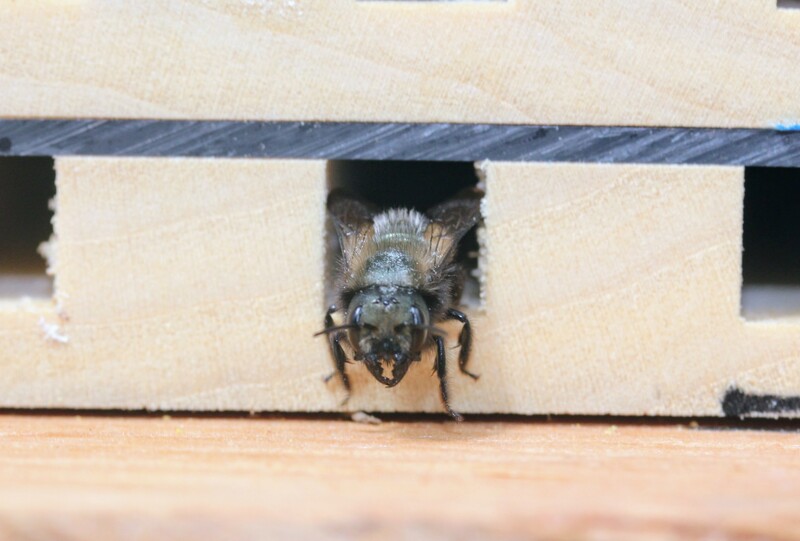 Have you heard of Mason Bees? I hadn’t until a few years ago. 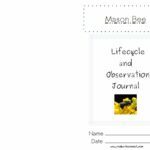 They are amazing, pollen passing, little critters who, not only help pollinate plants and trees, but also are a great tool for learning about life cycles and earth-friendly behaviors. 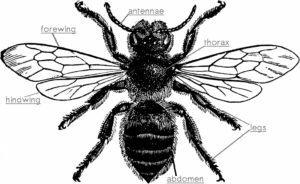 Because they are very docile, you don’t need to worry about being stung. 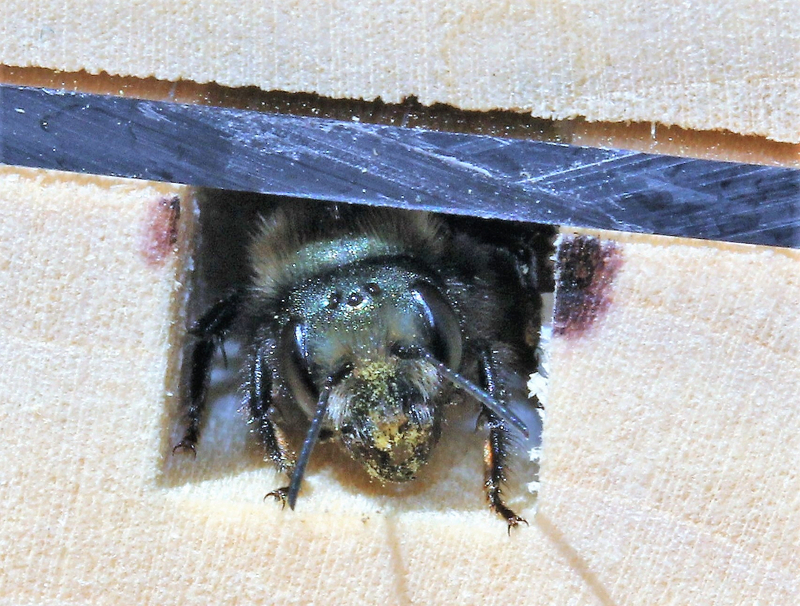 Osmia Lignaria, referred to as the orchard mason bee or blue orchard bee, is the most common species found in the Pacific Northwest. 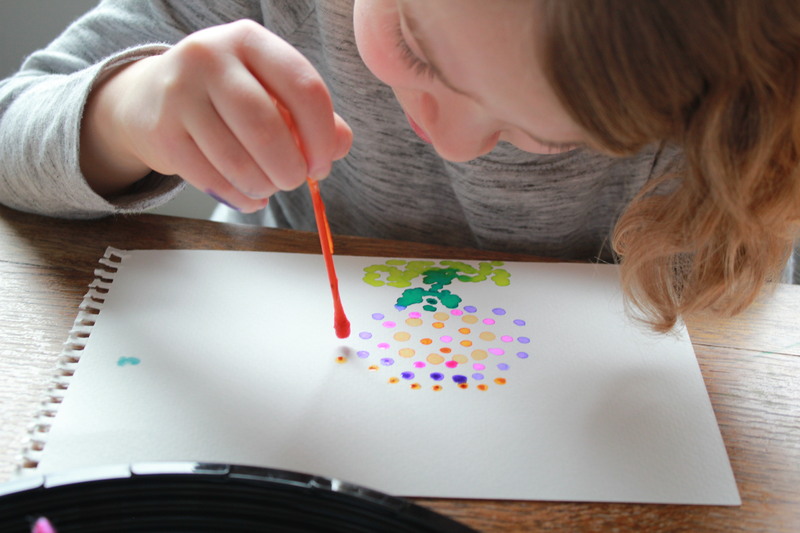 So, after seeing a variety of bee houses on the market and doing a little research, I decided I’d like to ‘raise’ some bees of our own, but I wanted my children to be engaged in the process. I learned that you can create nesting trays and cover them with plexiglass. 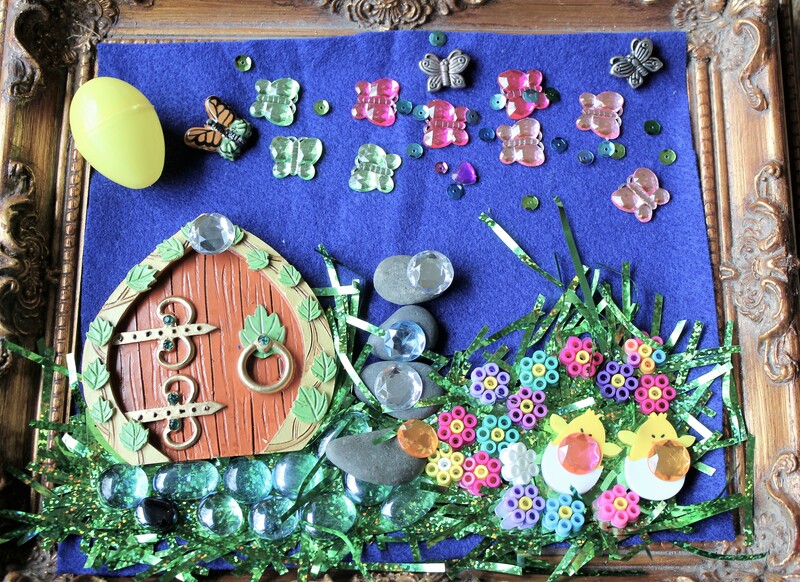 Luckily, my husband has a router and some awesome skills. 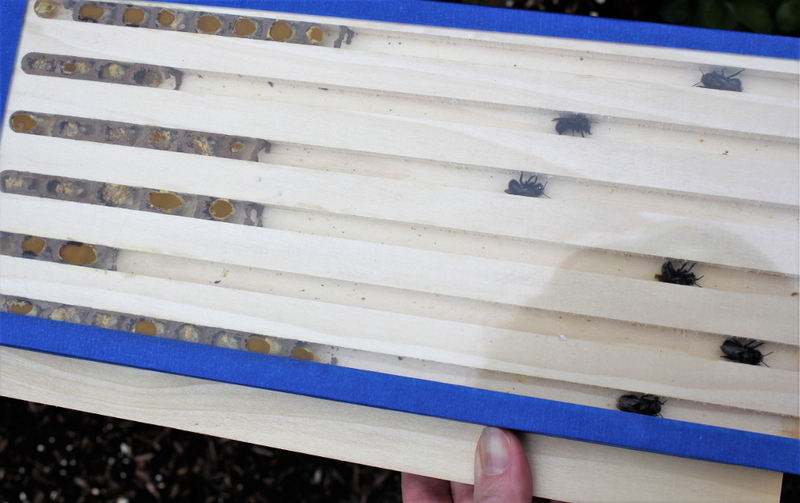 With a little poplar and plexiglass, we made our own nesting homes so our children could watch all of the action. 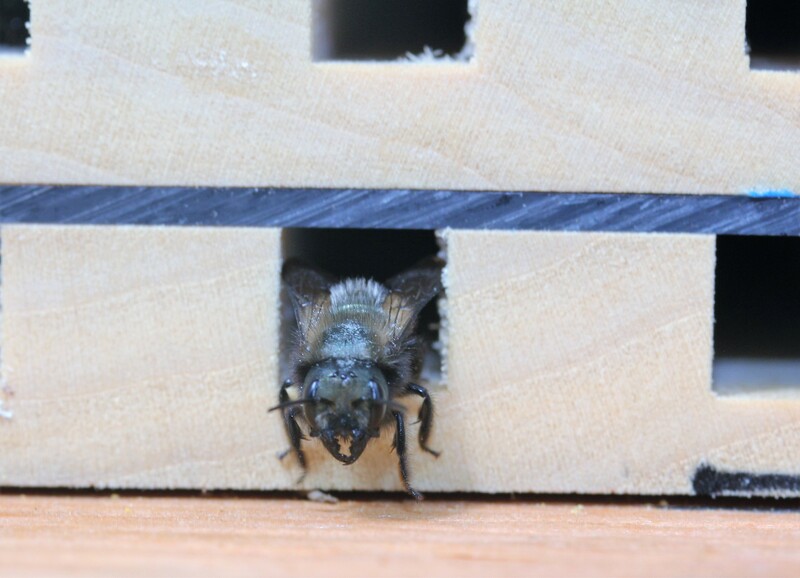 Mason bees are solitary. They don’t have to protect a hive. The females find a suitable location to lay their eggs. In nature, they usually choose a hole in a tree made by a beetle. The hole has to be just the right size for her to begin crafting a mud ‘nest’ for each individual egg. That’s why they are called ‘mason’ bees. 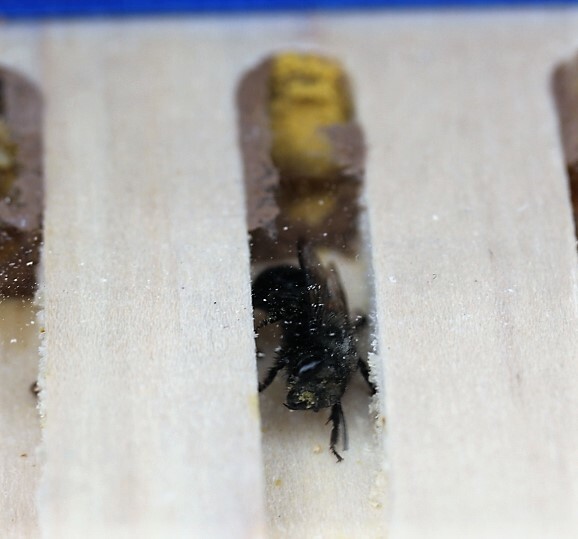 Females build a little chamber in the hole. She then starts collecting pollen and nectar. She will make a nectar pile for her egg to eat while it is growing. Once she has deposited the pile, she lays one egg and then uses mud to close the chamber. 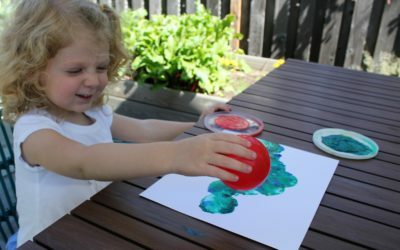 After that, she does it all over again for the next egg. As you can see in the photos, the female can fill a whole channel full of egg chambers. 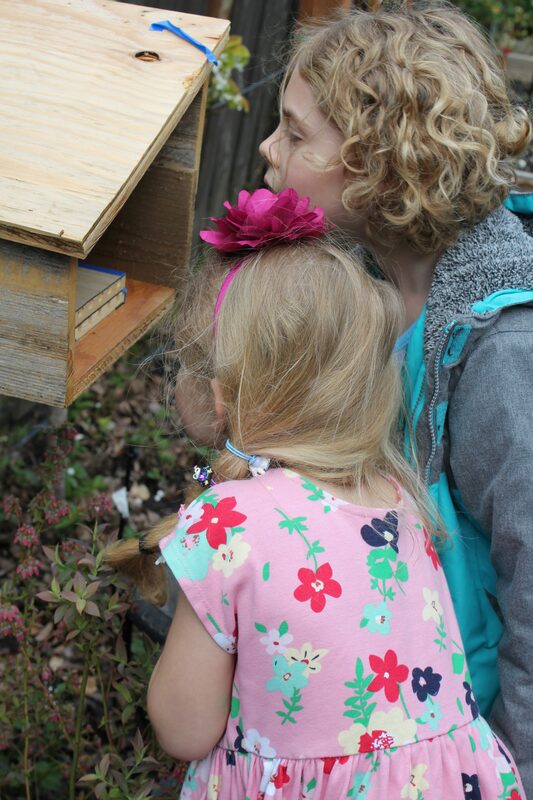 None of our bees seemed bother by our homemade nests. In fact, I purchased just ten bees last year. We made two trays with with a total of 12 channels. 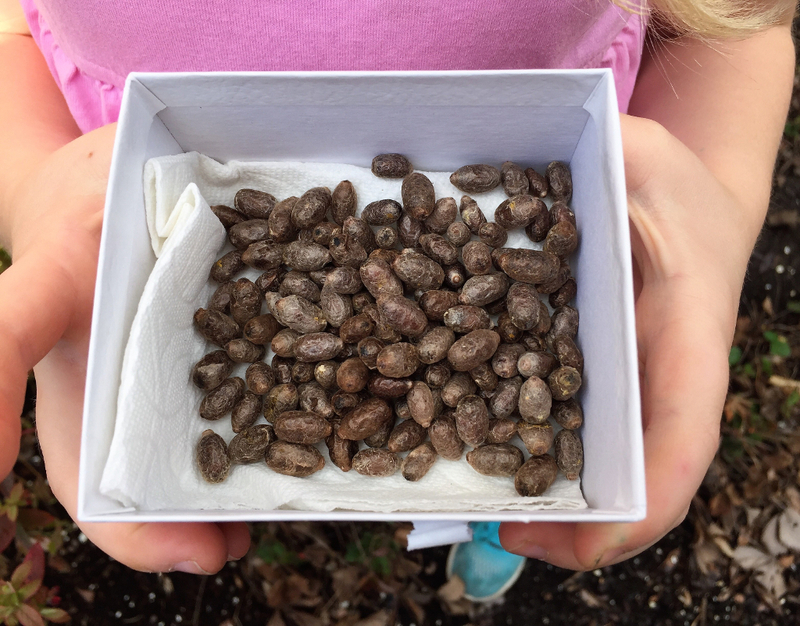 From those two trays, we harvested over 160 cocoons! So, I think they liked their temporary homes. Below you can see a momma bee coming out of her channel. She is covered with pollen. 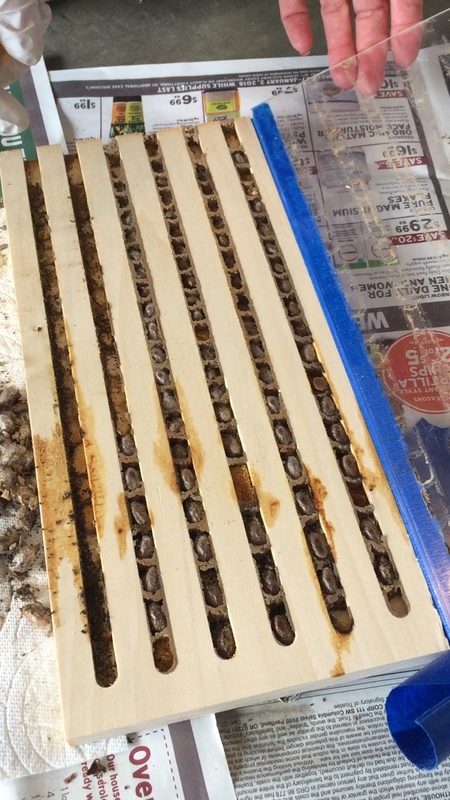 In the second picture, you see a tray with several mud chambers on one end and the bees moving in or out of the tray. 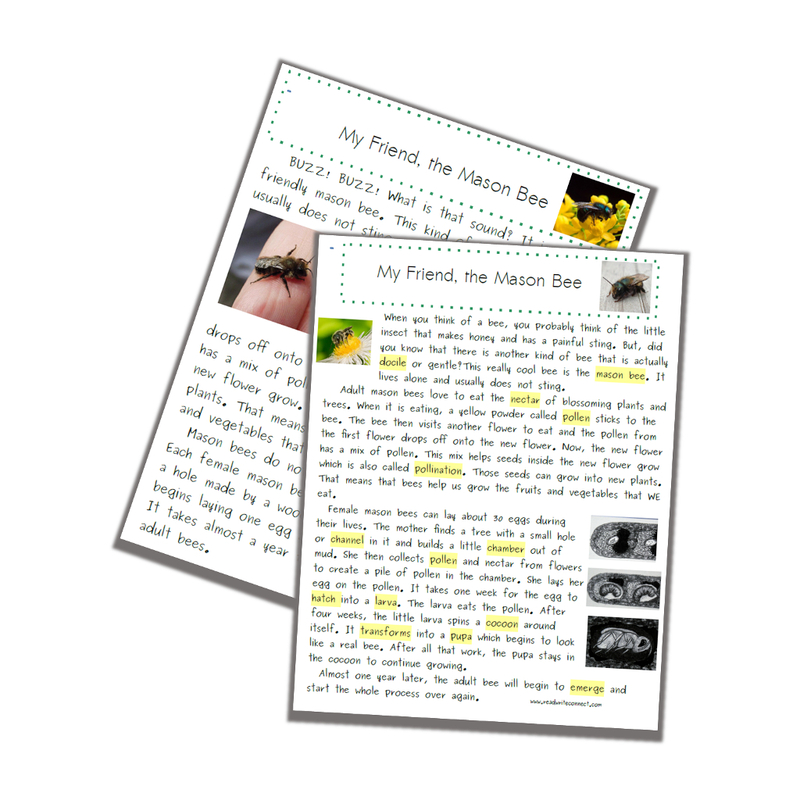 They are very busy bees! 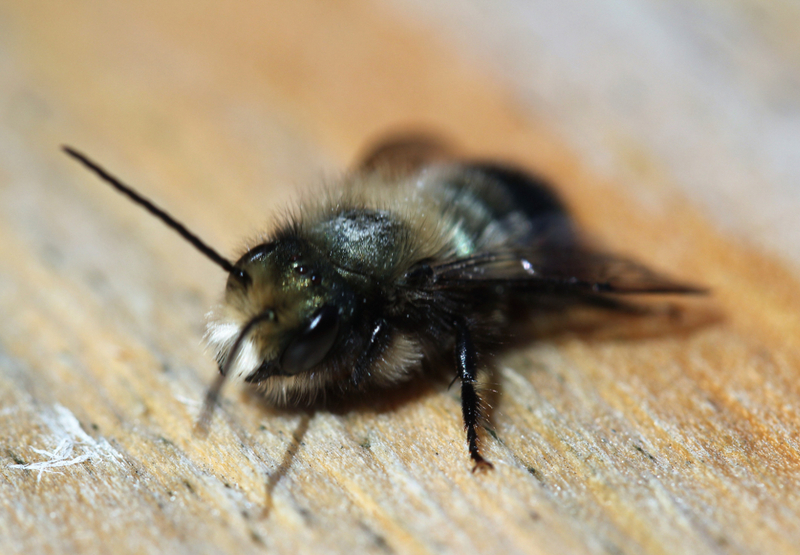 In fact, one mason bee can pollinate as many plants as 100 honey bees! 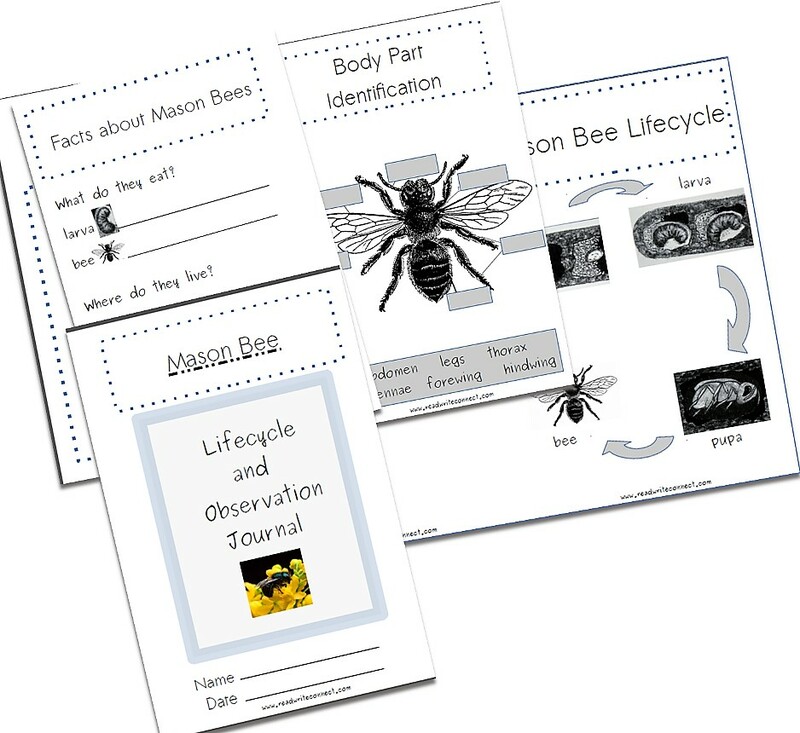 After we made the trays and had lots of bee activity, I wanted incorporate a literacy/science learning experience for my kids. 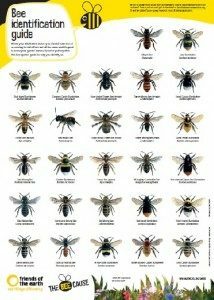 When looking for books online and at the library, honey bees are the most common resources you’ll find. 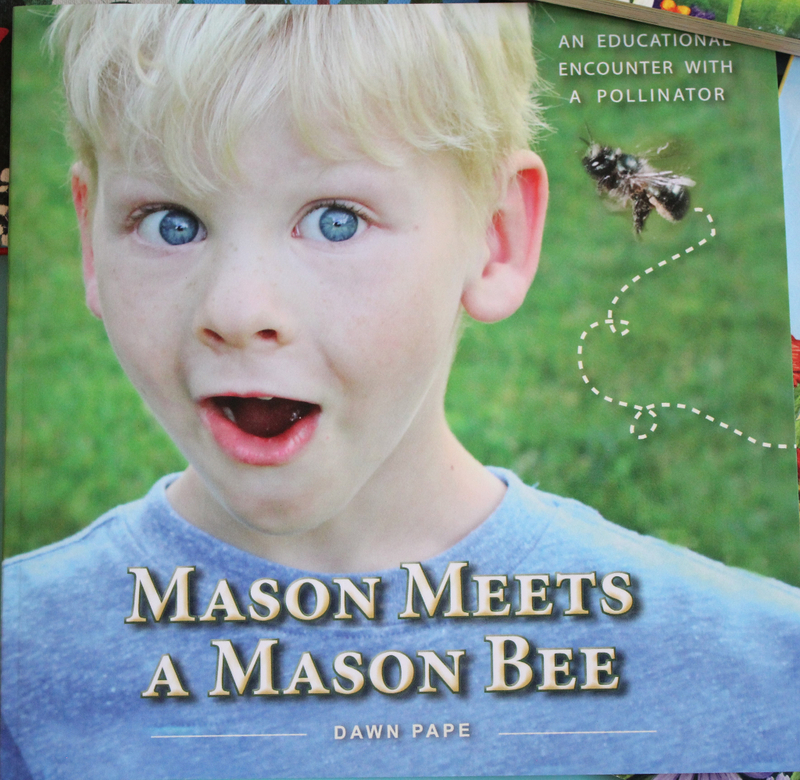 Luckily, I found one fantastic picture book about mason bees written by Dawn Pape. 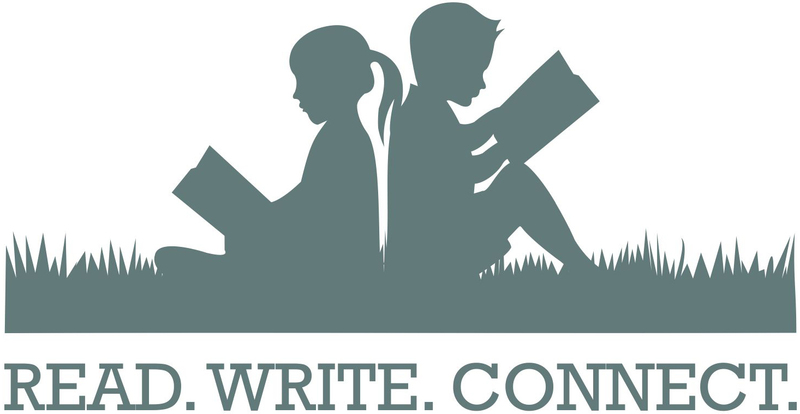 It was the perfect addition to our studies. 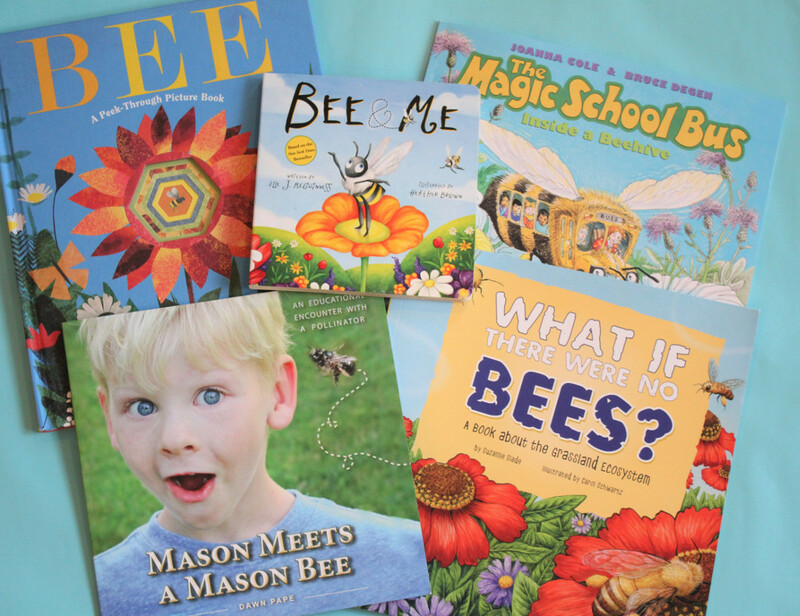 The other books we found also helped our understanding of how pollination works. 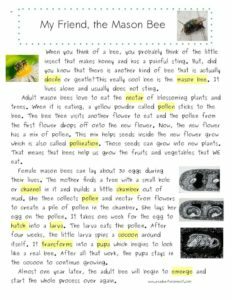 In addition to reading about these amazing insects, I wanted my children to begin noting their observations about the bees. 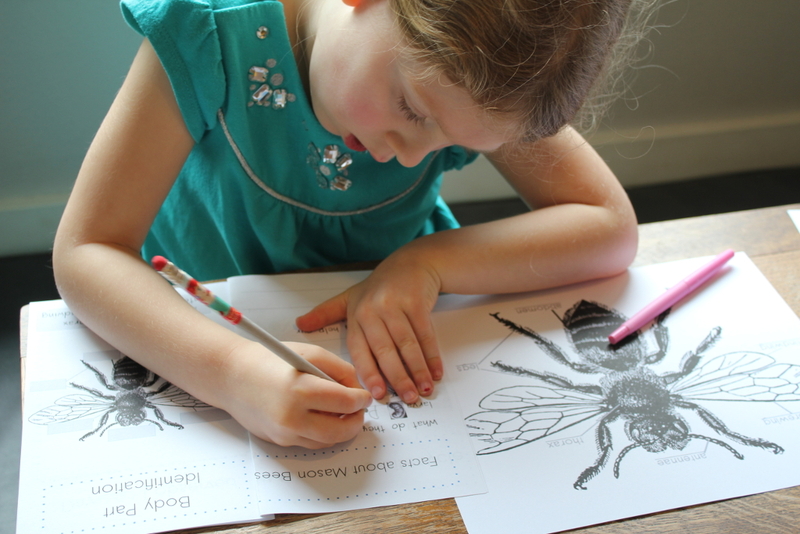 We looked at what the bees do and how they do it. They wrote about and drew pictures of the changes they noticed in the eggs. 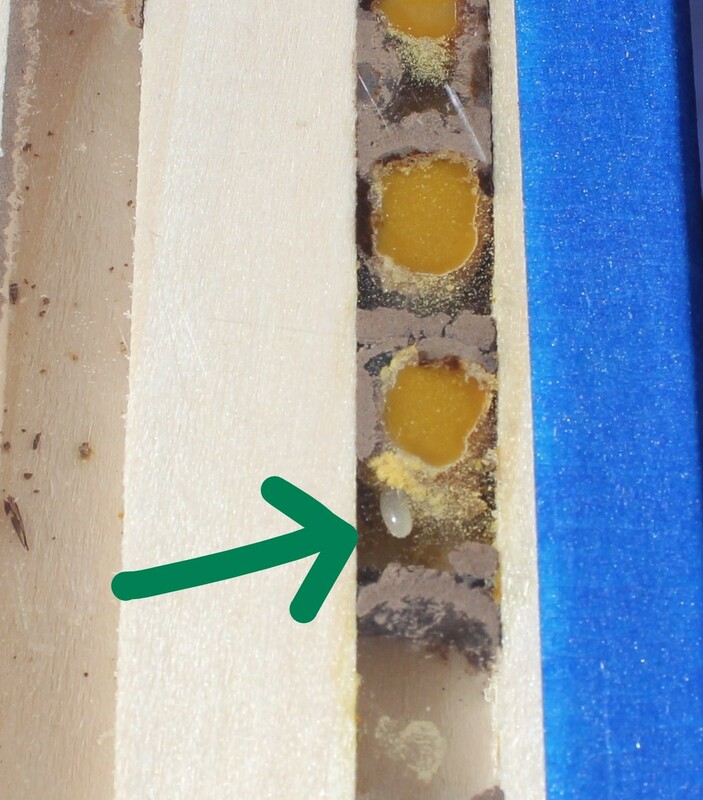 The cool part of having the nesting trays with plexiglass is that you can watch the egg develop into a larva and pupa! My kids got to see the whole life cycle. We also learned the body parts. Can you see the tiny egg laying on top of the yellow pollen pile? 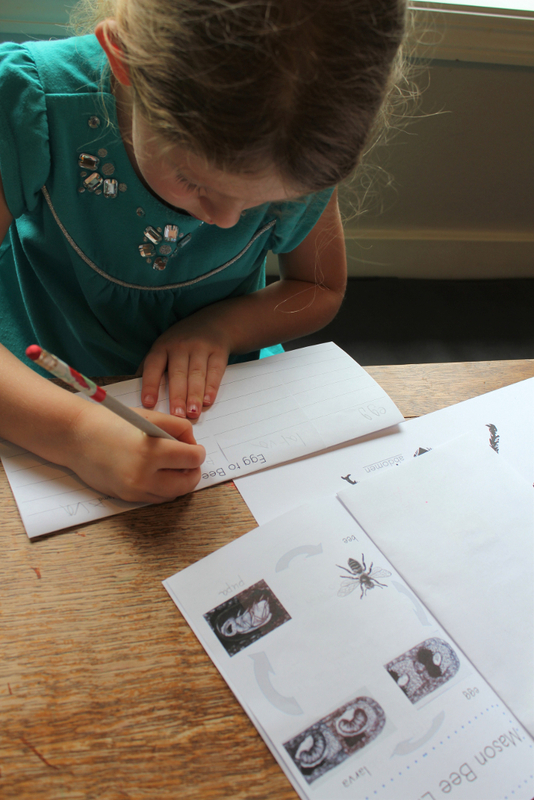 As part of this process, we also discussed where the bees were getting their nectar. 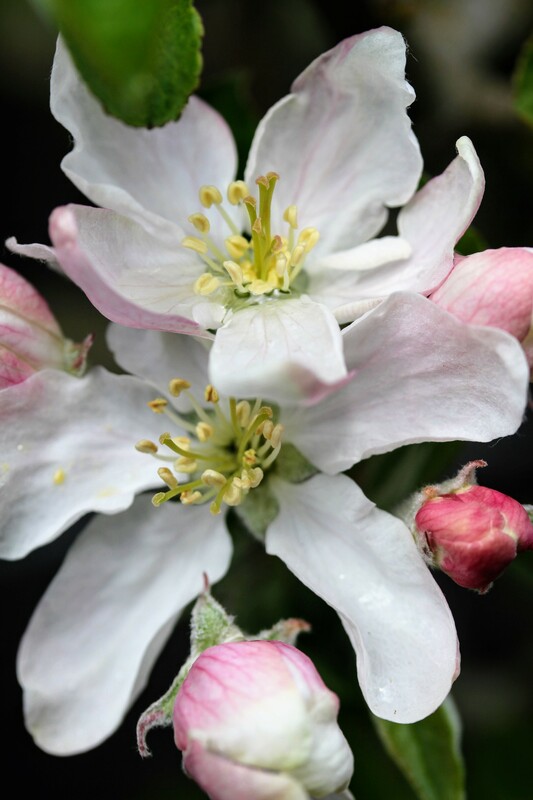 We have a fairly small yard, but do have a few fruit trees and other edible plants. 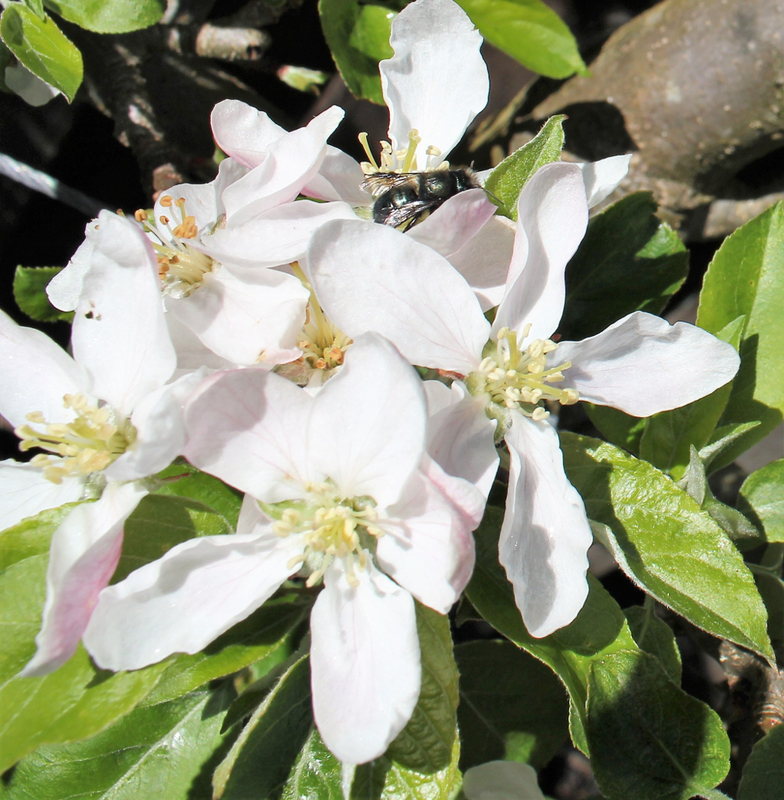 Our honey-crisp apple tree isreally benefiting from our hard working bees. 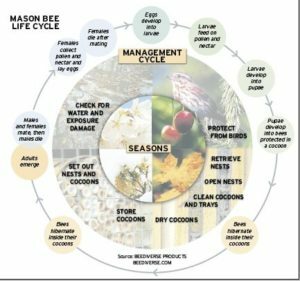 Would you like to help your children or students learn about the mason bee life cycle, habitat, and environmental benefits? 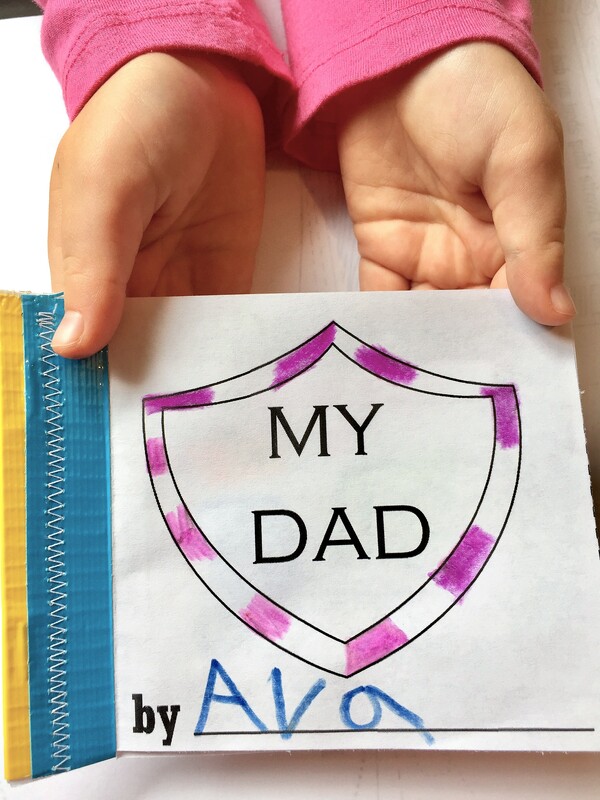 Download these FREE printables. Look who’s talking! 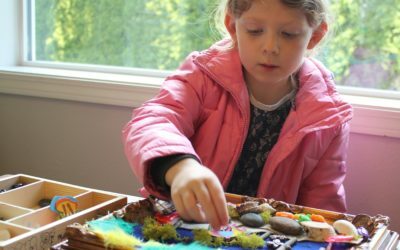 Tips on helping build your child’s oral language skills.